SPSS Modeler is a leading visual data science and machine-learning solution. Organizations worldwide rely on SPSS Modeler for data preparation and discovery, predictive analytics, model management and deployment, and machine learning to monetize data assets. Organizations worldwide rely on SPSS Modeler for data preparation and discovery, predictive analytics, model management and deployment, and machine learning to monetize data assets. It's suited for hybrid environments that need to meet robust governance and security requirements. Support for multiple data sources is provided, so you can read data from flat files, spreadsheets, major relational databases, IBM Planning Analytics and Hadoop. You can also extend the capabilities of SPSS Modeler to push back data processing with the SQL Optimization add-on (subscription) or the Analytic Server (perpetual license). 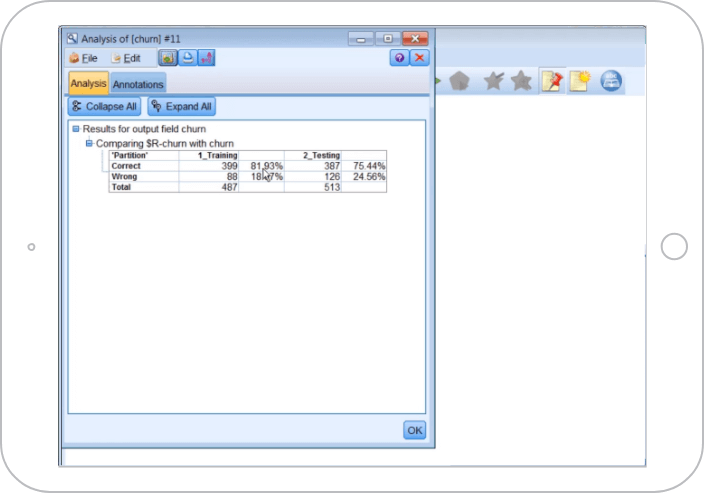 Additionally, SPSS Modeler captures key concepts, themes, sentiments and trends by analyzing unstructured text data. Uncover valuable insights in blog content, customer feedback, emails and social media comments. IBM SPSS Modeler is available as part of IBM Data Science Experience, as well as a standalone subscription or perpetual offering. Using Modeler Gold, data scientists can schedule jobs to run at desired times. IT administrators can integrate deployment into existing systems for batch, real-time or streaming.